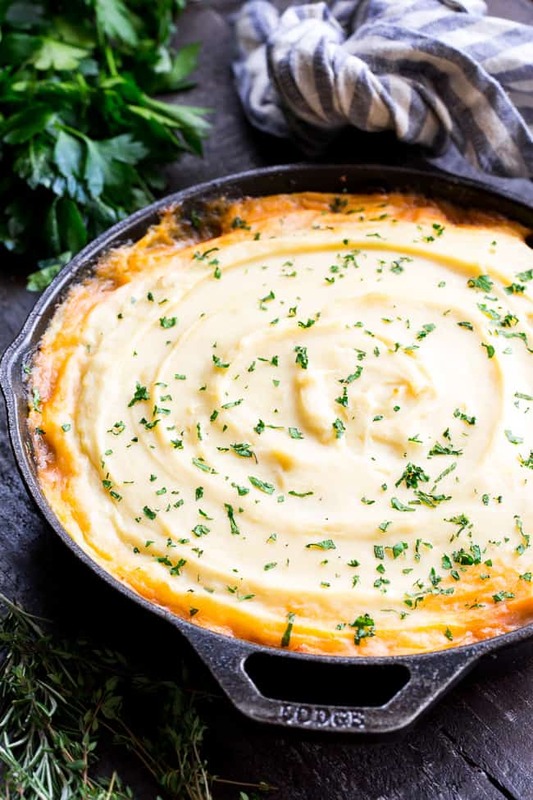 This Paleo Shepherd’s Pie is classic, cozy comfort food for cold winter days! It’s Whole30 compliant, dairy free and kid approved. 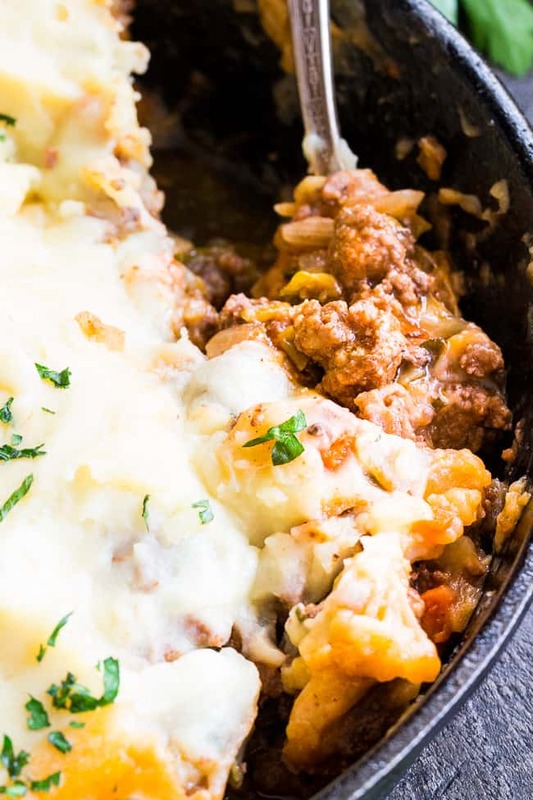 A flavorful, hearty ground beef mixture is topped with creamy dairy-free mashed potatoes, and baked until golden brown and bubbling. Is there anything better on a cold winter night than a cozy, comforting and CRAZY delicious shepherd’s pie?! 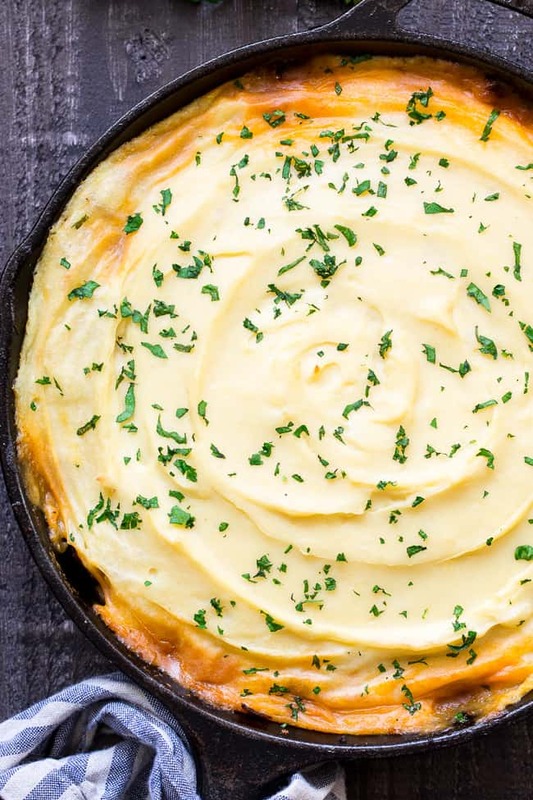 Yes – a cozy, comforting, crazy delicious paleo and Whole30 shepherd’s pie. Trust me, things are about to get better, even if you thought you were doing just fine without this recipe in your life. Dramatic? I know – but I’m just really excited to share this highly- anticipated recipe with all of you. Admittedly, some of my excitement is relief, since I basically tortured myself making decisions about this recipe. What veggies to use? What should I cook it in? White potatoes for the topping? Sweet potatoes? Or toss the potatoes and go with a lower carb topping? It gets pretty intense sometimes with recipe creation over here. It really just ME, having a brainstorming meeting with ME, shooting down all of my own ideas as they pop up. Super fun, I assure you. But, really, sometimes I’m not sure how anything ever gets done. Spoiler alert – I went with chopped carrots, and brussels sprouts, a cast iron skillet, and white potatoes – YES – white potatoes. In all their starchy-delicious glory. Even though white potatoes have been Whole30 compliant for quite a long time now, I still get questions about whether or not they’re paleo, and my answer to that, is, well, they are to me. 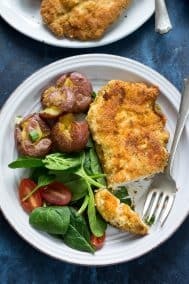 There seems to be much confusion about potatoes (I recently had someone ask me why I post potato recipes if they contain gluten. Face to forehead for that one, eek.). Now, not everyone who begins eating paleo should eat potatoes – based on their own personal health circumstances, goals, preferences, etc. And yes, that can be said for plenty of other foods that are both paleo and Whole30 compliant, of course – because we all have individual needs. 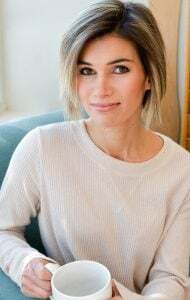 As for me, I have no problem eating white potatoes, and though I wouldn’t say I eat a ton of them (greens, roasted sweet potatoes and plantains are my staples) I like to include them in recipes where I feel they belong. As for the filling, it’s a heart mixture of grass fed ground beef, my personal favorite veggies (you can sub in your faves!) onions, garlic, a bit of tomato paste, broth, and fresh savory herbs. 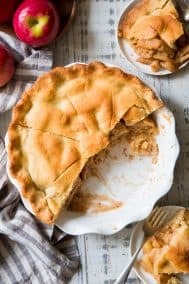 It’s an incredibly easy recipe to put together, though it is time consuming due to making the mashed potatoes, and then baking everything together. To cut down on time, you can prep many of the ingredients ahead (including cooking the potatoes!) and then simply cook the beef mixture and spread the potatoes on top right before baking. I know you’ll love this one guys! Are you ready to get started? Let’s cook! 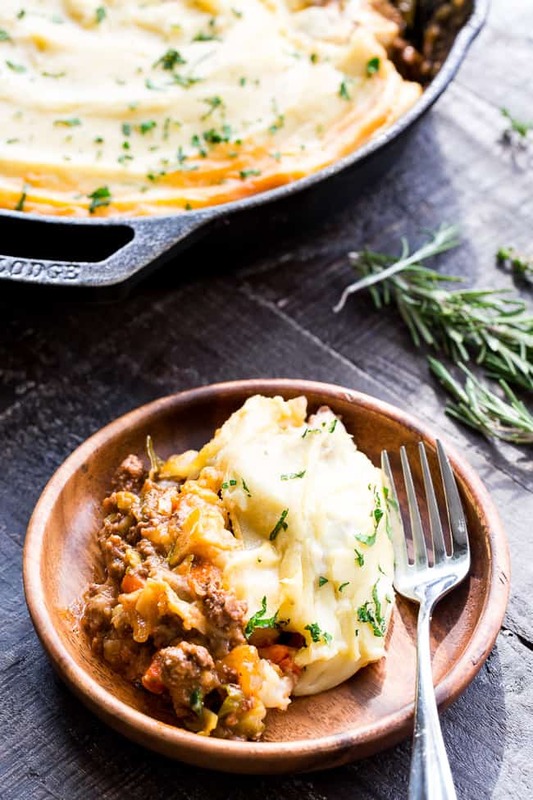 This Shepherd's Pie is classic, cozy comfort food for cold winter days! It's paleo and Whole30 compliant, dairy free and kid approved. A flavorful, hearty ground beef mixture is topped with creamy dairy-free mashed potatoes, and baked until golden brown and bubbling. In a deep oven proof skillet* (mine was 10”, add beef to skillet and sprinkle with sea salt. Brown beef over med/hi heat breaking up lumps with spoon. remove from skillet to a plate with slotted spoon and set aside. 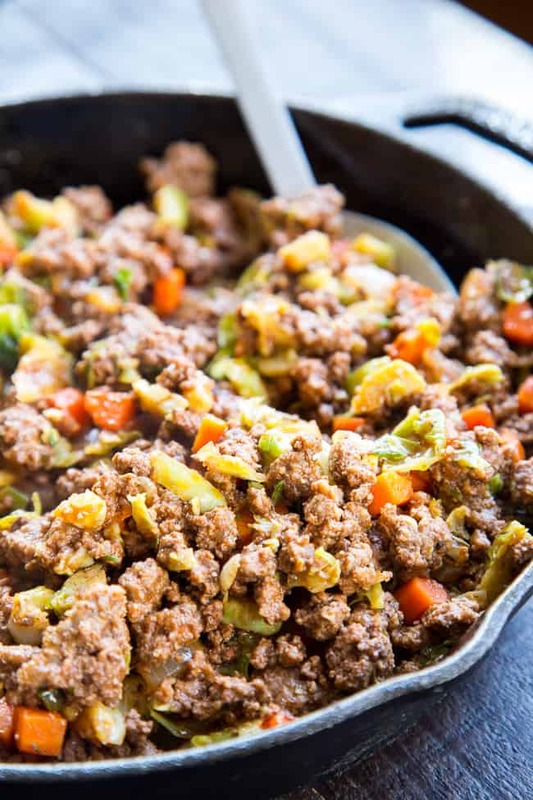 Adjust heat to medium and add Brussels sprouts and carrots to skillet, stir to coat and cook about 2 minutes, then add onions and cook until softened. Add garlic and sprinkle veggies with a bit of sea salt, stir, then cover the skillet briefly to soften carrots until fork tender, if necessary. 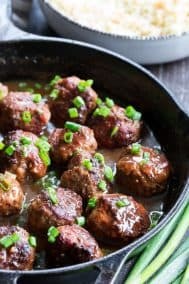 Add the remaining ingredients for the beef mixture to the skillet, stir to combine, then return beef to skillet and stir to coat, simmer for 2 minutes or so to thicken the sauce and blend flavors. 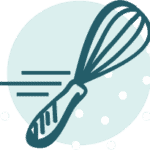 Spread all the mashed potatoes over the beef mixture and use a spoon or spatula to smooth the top. 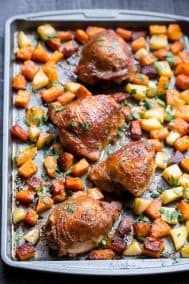 Sprinkle with parsley, then place skillet on a large baking sheet (to catch any bubbling sauce) and bake in the preheated oven for about 20 minutes, until sauce is bubbling and top begins to turn light brown. Remove from oven, allow to sit about 10 minutes before serving hot. Enjoy! 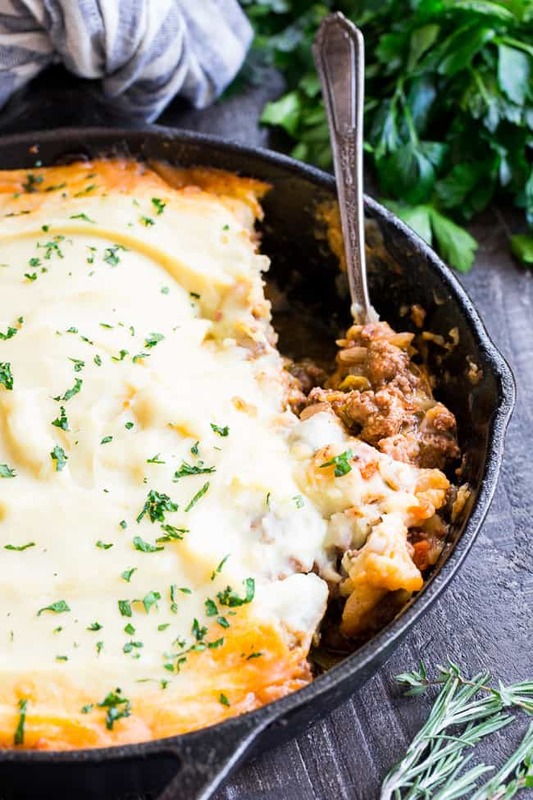 *If you don't have an oven proof skillet, you can use a casserole dish instead to bake your shepherd's pie - cook beef mixture in a skillet and then transfer mixture to casserole dish once done cooking; spread mashed potatoes over the top and bake as instructed. What would you use in place of coconut milk? I find all the paleo recipes where they say you won’t taste the coconut aren’t honesty reported. I always taste the coconut and find myself throwing out meal after meal which is just a waste of good food and money. 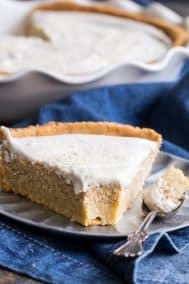 Not really sure – my kids and husband didn’t taste the coconut in this but if you really can’t stand it, I’d go with unsweetened almond milk or heavy cream if you can have dairy. Can I sub green beans instead of brussel sprouts? How much would you use? This was super good! It’s now in my recipe binder. Only change I made was adding half a container of kite hill dairy-free cream cheese. Thank you for the recipe! To the mashed potatoes that is! This isn’t dairy-free because it uses ghee. Ghee is dairy-free, because all the lactose and milk solids have been removed. All that remains are butter fats. Not all ghee are free of milk solids. You have to get certified casein and whey free ghee for that. Thank you for all your recipes! This sounds delicious! I would love to know a sub for the coconut milk that works well in heat. My son is allergic to coconut and we are both allergic to dairy. 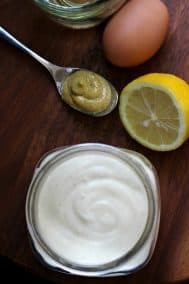 I have used different brands of almond milk in recipes like this and when you heat the meal in the oven (for casseroles,etc) the almond milk seems to just fall apart chemically and make the dish watery. Got any suggestions? Thanks! You are a low carb angel. This looks SO good, and is something I’ve never even thought to try! 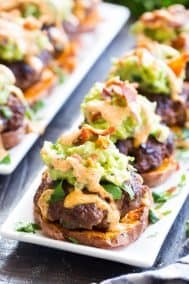 Need to add this to my Keto lineup! 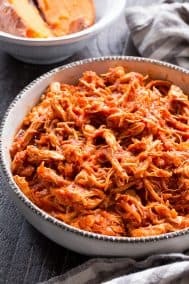 While this looks like a delicious recipe, it is not a keto diet recipe at all. Unless you sub the potato for cauliflower mash, use more butter and less meat. 1/8 of 2 1/2 lb of russet potatoes is not ketogenic. 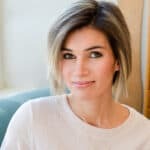 Be careful of recipes on line that claim to be keto (not this one since there is no claim it is Keto). That would be like saying this recipe is definitely not vegan. Nowhere did it say it was a keto recipe, so why bother pointing out the obvious? because someone said that she was going to add it to her list of keto recipes. so she was just telling her that it wasn’t a keto recipe! Made this for last night’s supper. My husband and I loved it. My mother took one bite and refused to eat it but then she complains about everything. I like it well enough to be happy to eat the leftovers and I used grass fed ground beef! This is not labeled as Keto and it is not due to the potatoes for those who think it is, but it is tasty! Why do you need nutritional yeast? Can I leave that out? Is there a substitute for nutritional yeast? Two stores have left me down and kids already excited about this option for dinner tonight. Maybe parmesan? That one is similar to the nutritional yeast! Made this tonight, yum! We do some dairy, so I used a little cream and Irish butter. I used mashed sweet potatoes. So good with the Brussels sprouts! I lurrrrve shepherd’s pie. One secret ingredient that I have found that elevates the taste of the meat is to add some dijon mustard (usually ~1-2 tbsp). It doesn’t make it taste like mustard, just adds some extra oomph. This was just what the filling needed! Thanks for the tip! We made this last night!! Absolutely delicious. I will definitely try more of your recipes. This is SO good!!! I used unsweetened almond milk instead of coconut milk, and it worked perfectly. This will definitely be added to the rotation. My husband loved it and he’s not even doing Whole30. I made the Shepherd’s Pie tonight and it was very good. However, the time estimated to prep this meal is way off. I don’t know how many people realistically have some of these items prepped ahead of time. It would be helpful to have the complete prep time included. It took me closer to an hour to prep. It also took about 40 min. of actual cooking time to get it slightly browned on top. 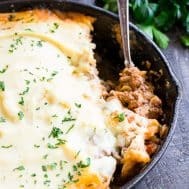 I deleted 7 other Shepherd Pie recipes out of my paprika app and kept this one. So flavorful! This was a huge hug in my house! My 5 year old ate two bowls of it and repeatedly told me how good it was. He’s not a Brussels Sprouts fan, but he has no idea they were in here. My hubby and I very much enjoyed it too. Oh that’s amazing! Love when the little ones go for it! Excellent! Followed the recipe pretty closely but used more tomato paste as my husband needs a lot of umami flavor in his meals. Subbed broccoli and cauliflower for the Brussels sprouts. Whole family was very happy with this, and none of them are even on Whole30 with me. Like some others have mentioned, it took me longer to make it happen than the estimated time in the recipe, but it was well worth it for the outstanding result. Thanks! I loved this! I forgot the yeast (even though I bought it specifically for this recipe). This will be in the weekly rotation. I’m not Whole30 or Paleo but thought I’d try it with regular milk and butter and next time I’ll venture to coconut milk. My 2 toddlers and picky husband loved it as well. I love this recipe. It’s great and lasts me a whole week for dinner. On the nutritional side, I’m wondering what’s the serving size for one person. I know it says serving size is 8. Calories is 407, is that for the whole meal or is it 407 calories per one serving size. Can I substitute sweet potatoes vs russets? Made this tonight and LOVED it!! Thank you for the wonderful recipe. Is it possible to sub the white potatoes for purple potatoes or do you think the outcome would be too different? Also is t possible to sub sweet potatoes in place of russet? Ghee isn’t dairy free. My daughter’s stomach Dr has that on the do not eat list because it comes from milk. Had this tonight – it was very good. My issue is with your calculation of prep time. It takes almost an hour to prep this, not 15 minutes. Don’t know how you came up with that time. If it contains ghee it most certainly is not dairy free for those with a dairy allergy. This was delicious! I preferred this recipe over my regular Shepard’s Pie that I make when not doing Whole30. My family all loved it. I used carrots and mushrooms instead of brussel sprouts only b/c not everyone here is a fan, but I think it would be really good with them. Sounds delicious and I’m thrilled you enjoyed it! This was wonderful and is going to be in my cold weather menu rotation. For those concerned about ghee being dairy, just sub with some other suitable fat. I used avocado oil instead of ghee, and it worked out fine. I agree with the others who mentioned the prep time was much more than indicated in the recipe, but so worth it. I doubled the recipe and froze half for another time (the beef mixture, not the mash on top…will prepare that fresh when I pull the second batch of beef mixture out of the freezer). Not sure how it will turn out from frozen, but hoping it will be fine. This is so good! Highly recommend! This was so good! I added some compliant Dijon and coconut aminos to the beef mixture to give it a more savory flavor and it turned out great. Really helpful to have a heartier whole 30 meal to keep up with our workouts! We’ve subbed half the beef with Italian sausage for added flavor and kick. I’ve also omitted the nutritional yeast as I didn’t have any on hand. My husband and I loved this filling dish! We didn’t have a cast iron skillet and it still worked out great using the modified instructions. Thanks for a great recipe! We will definitely make this again in the future! This was soooo good! I’m on day 11 of the Whole 30 and was starting to get bored. This was the perfect thing to mix it Up! I added some chopped green pepper to the mix as well as smushed tomatoes. (I didn’t have any tomatoe puree) and it was perfect! Definitely making it again! So good! I substituted the beef for lamb and the coconut milk for cashew milk… it turned out great! Thanks for sharing! I love this recipe! My particular preference is to use asparagus in place of Brussels sprouts, but it is delicious either way. Do you have any ideas/tips about freezing this? I am wanting to make it for my sil who is having a baby, but didn’t know if there was any reasons why it wouldn’t freeze well. Thanks so much!